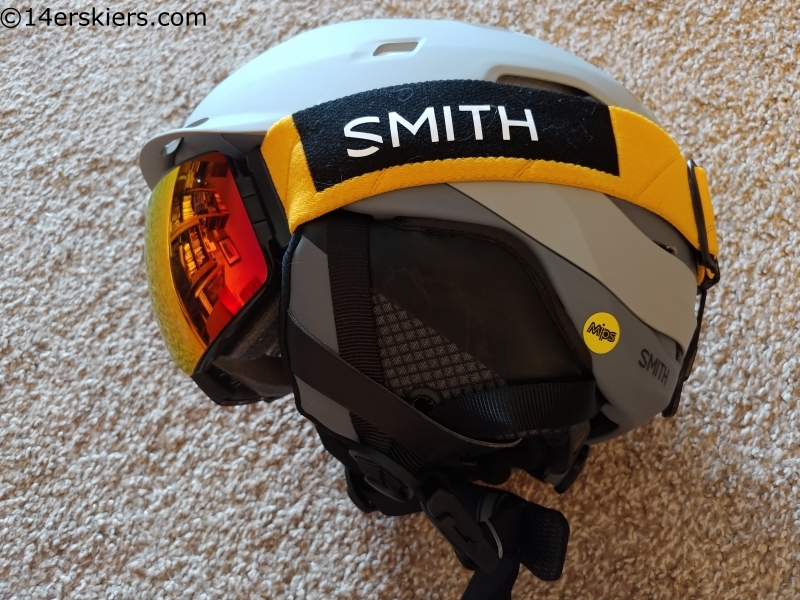 The Smith I/O Mag goggle was recently released for the 2018-19 season, replacing the popular I/O7 goggle. The “Mag” stands for magnet, and we’ll get to that in a minute.  The I/O series is top-of-the-line, and includes other models such as the I/OS for smaller faces, and the I/Ox for larger faces. The I/O Mag is more of a medium fit, which is perfect for me though it’s a bit large for Brittany. As mentioned above, the I/O Mag goggle has magnets in it, making it incredible fast and simple to switch lenses. Why would you switch lenses, you might ask? If you haven’t tried out different lenses yet, you’re missing out. 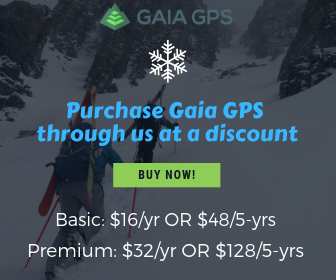 A yellow storm lens on a snowy or cloudy day can make all the difference in the world between saying “the light is pretty flat out there, isn’t it?” versus “wow, what a great run”. In the northern latitudes, even sunny days on shaded north faces in the heart of winter can make a yellow lens the go-to choice. Orange and rose lenses are a great choice for “in between” days with both sun and clouds, while a dark lens is the go to on those brilliantly clear Colorado bluebird days. The problem with changing lenses has long been the ease of changing the goggle lens. In most cases, you feel like you need a PhD to decipher the changing process, or even worse, you’re terrified that the lens is about to break in half as you attempt to wrestle the lenses in and out of the goggle housing. In my case, I’ve long kept multiple goggles ready to go with either a storm or sunny lens, and kept lens changes to a minimum. Magnetized lenses and goggle housing make difficult changes a thing of the past. With the I/O Mag, you simply flip a lever and pull the lens off the magnets, then toss the new one in with a satisfying “click”. It took longer to write that sentence than it takes to change a lens on the I/O Mag. 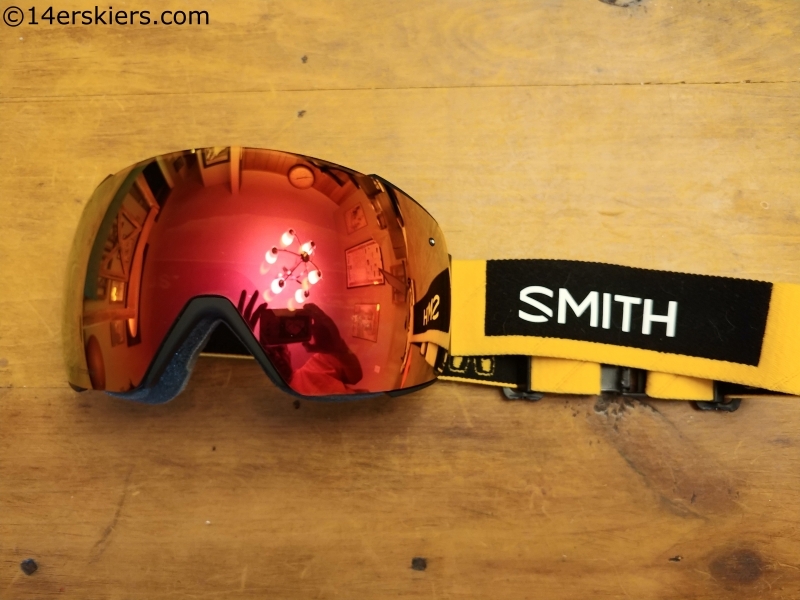 This is the fist goggle I’ve seen that I could imagine taking both the goggle and different lens on a tour, with the capability of changing the lens if the weather changes on the way up. 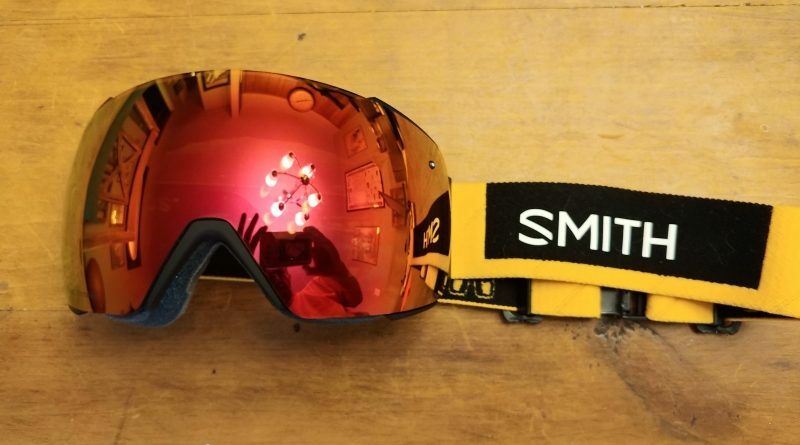 Even in a blizzard, it just wouldn’t be that hard to change a lens with these goggles. 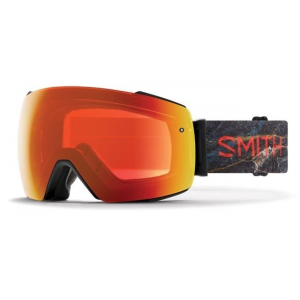 Beyond the lens changing system, the I/O Mag has great optics like one might expect from a high-end Smith goggle. 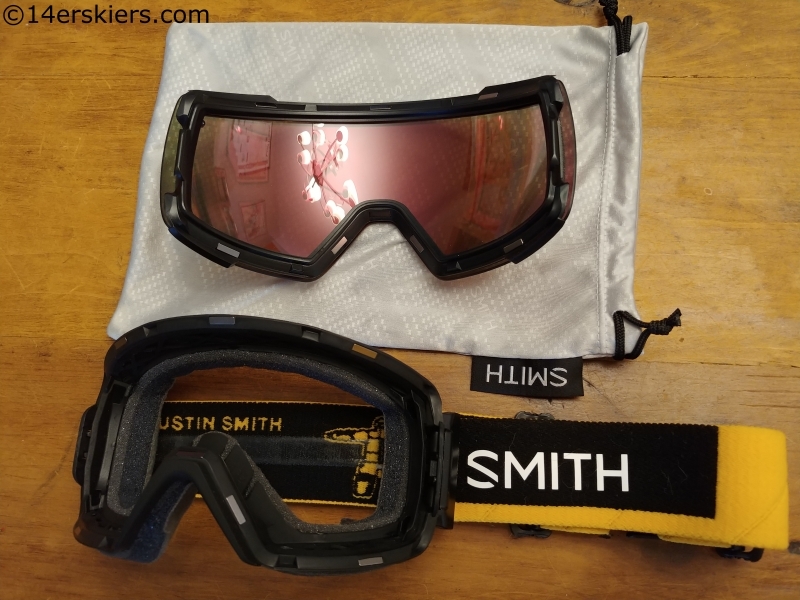 They match up perfectly with my Smith Quantum helmet, though you would probably want to check helmet/ goggle compatibility anytime you’re searching for new goggles. The peripheral vision hasn’t been quite as good as the I/O7 that I was previously using, which is probably my main complaint at this point. It isn’t bad, mind you, just not as good as the I/O7.